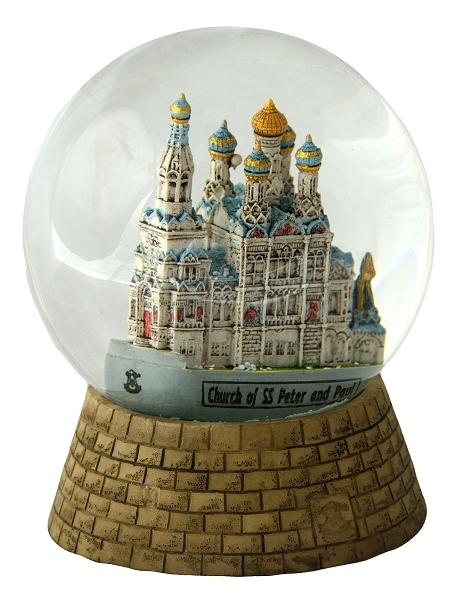 Glass snow globe on ceramic pedestal, containing miniature model of the St. Peter and Paul Church in Karlovy Vary, also called the Russian Church. Water contains miniature snow flakes that create effect of snowfall if you shake the globe. Nice spiritual memory of your visit to the spa capital of Europe - Carlsbad. Genuine product designed and manufactured in the Czech Republic.